Law enforcement officers say they will be out in force over the next five days, cracking down on drunk drivers over the St.Patrick's Day weekend. Last St. Patrick's Day, Matthew T. Leonardo, 30, of Santee was killed when his car collided with a mini-van on State Route 52. Four members of the same family were injured in that crash. They recently spoke to college coeds about the dangers of drinking and driving. 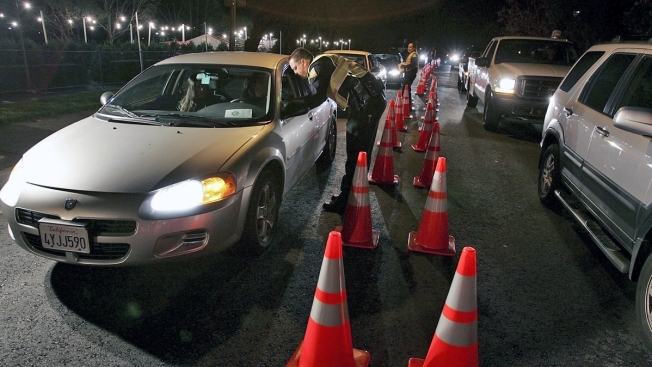 Now, officers around San Diego County are initiating Operation Green Mile that will bring out more DUI enforcement crews over the weekend and encourage restaurants and bars to stop serving drinks to drink customers. For those planning on celebrating the holiday, officers have some advice. Plan ahead and find a sober driver. Make sure that friends aren't driving home if they have been drinking. Call 911 if you see a drunk driver on the road. SHAMROCK, the largest local celebration, will get sober drivers to take participants anywhere in the county if they visit their booth in the Gaslamp before 12:30 a.m. Read their website for details.